I know you; you are a white bearded grandpa whose best friend is his Harley Davidson. You are a teenager who just had his first ride. You are a girl who rides a bike to prove her brothers she is just as tough. You are a man going through his midlife crisis, who bought an expensive bike a few days ago. I know all of you because I am a motorcycle enthusiast, too. I know what you are searching for. The wind in your hair, the speed, the subtle presence of constant risk. At last - adrenalin that keeps you addicted for all of these years. We are about to have a serious conversation. I am obligated to inform you and that you and your pillions are 5 to 27 times more likely to suffer severe or fatal injuries than car drivers are if you have a collision. That’s because you lack any surrounding protective structure on your bike. If I still don’t have your full attention, think of 4,976 motorcyclists that died in 2015, only in the USA. The number of injuries and deaths is constantly increasing since the beginning of the new millennium. Don’t be fooled, all of those people didn’t drove recklessly when it rained. In fact, most of the accidents occur during the nice, warm weather – from May to September. I warned you it was serious. So, keep reading. This article might save your life. How to Hire a Qualified Motorcycle Accident Lawyer? How to deal with insurance companies after an accident? 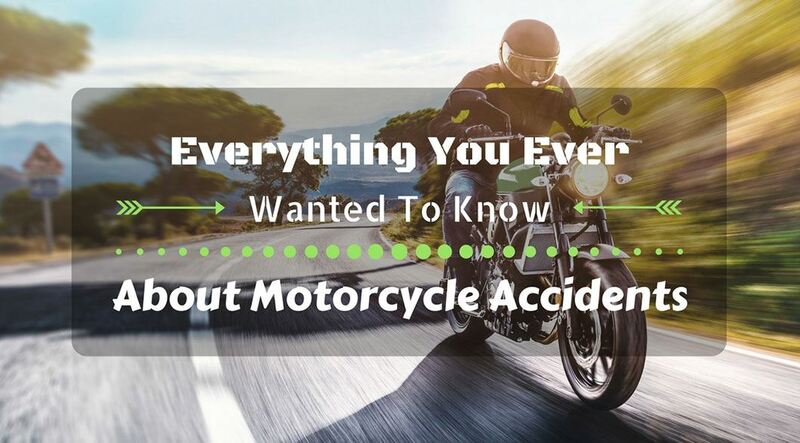 The first thing you should know is the cause; there are dozens of causes of motorcycle accidents. I believe you can think of at least hundred different things and conditions that can lead to a crash, but I’ll be listing ten of those that seem to be most problematic. Lane changes – Not every lane change will cause an accident. Unsafe ones are part of the problem. Motorcyclists sometimes fail to check their blind spot or signal when they plan to change lines. That is risky behavior. You cannot expect other drivers to watch for your safety if you don’t do it in the first place. Speeding – Many people are attracted to the idea of riding a bike primarily because of the speed. For that reason, it is no surprise that speeding is leading cause of all types of accidents. It reduces your chance to see and react to other drivers in time to prevent a collision. At the same time, it increases the chance of losing control over your bike and hitting a passive object. Remember, higher speed leads to greater impact, which causes more severe consequences. Driving under the influence – Believe me, I would never forbid you from drinking or using any other substances. You can do whatever you want. I understand, maybe you are celebrating, maybe you want to loosen up a little, it’s okay. But, NEVER, NEVER EVER drink or use marijuana or anything else and drive. I heard many people say how they are even better drivers when they are under the influence of some substance. That’s a misbelief. You are deceiving yourself. Your reactions will slow down. Your overconfidence will push you to make risky decisions. If you cause an accident, you may face both civil and criminal liability. At last, if you hurt someone, you will have a hard time forgiving yourself. Around half of the fatal accidents show alcohol involvement. Lane splitting – If you are a motorcyclist, you have certain advantages in comparison to car drivers. For example, you can avoid traffic jams by driving between two lanes of the stopped or slowly moving car. That is called lane splitting. This is a risky activity for several reasons: you are extremely close to other vehicles, you have reduced space for needed maneuvers, and other drivers are not expecting you to pass them in these conditions. You should know that lane splitting is especially dangerous for inexperienced drivers and illegal in some states. Inexperienced drivers – Drivers with brand new license sometimes get cocky. They are more likely to make bold and unsafe moves on the road, endangering themselves and other drivers at the same time. Motorcycle riders between 16 and 24 are significantly overrepresented in accidents. Sudden stops – Keep your distance. Do not drive too close to other vehicles. More deaths and injuries than you would expect, happen due to motorists following other drivers too closely and being unable to react if the driver in front of them makes an abrupt stop. Left turn accidents – 42% of all traffic accidents happen when cars are making a left turn. In these conditions car can hit the motorcycle while it is going straight through an intersection, passing the car, or trying to overtake the vehicle. These accidents are usually car drivers fault, but if the motorist was speeding or acting recklessly, he or she could be liable. Car doors – This cause of the accident cannot be motorists fault; it is the result of car driver’s negligence. It happens when the driver opens the door of their parked vehicle in the path of an oncoming motorcycle. Dangerous road conditions – Conditions that you meet on the road are not under your control. Still, you should consider them while driving, so you could know if you should be extra careful. Potholes, debris, crumbling pavement, inadequate signalization and lack of signs, weather conditions, all of these things can affect traffic and your control over the bike. Still, dangerous conditions are responsible for only 3% of accidents. Motorcycle defects – If you are a true enthusiast you are watching for your machine and taking care of it on a daily basis. Still, some people have more faith in their motorcycles than they should, and they don’t do regular checks. This and machines that come with a poor design from the manufacturer can cause just as much problem as any other reason listed above. 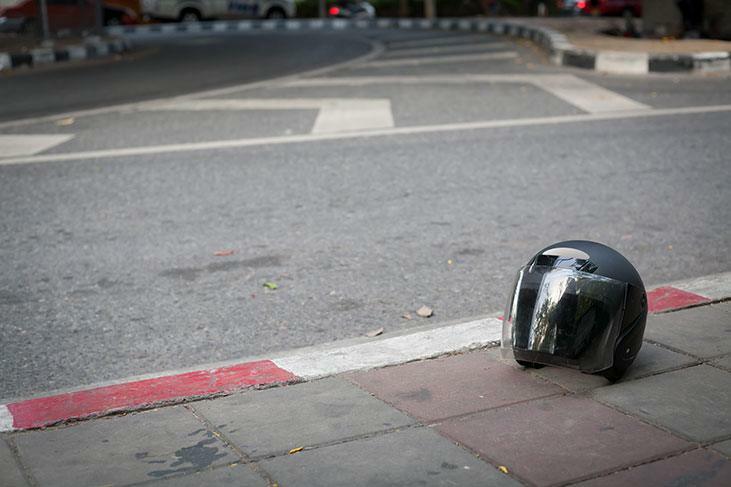 Motorcycle accidents can result in serious consequences. It can be something reversible such as broken bones, but it can be something severe as brain or spinal cord injuries, which often result in death or paralysis. As these injuries can be life changing you should know which types of accidents can cause them. Head on collisions – Most dramatic accident is probably the head on collision. It accounts for more than half of all motorcycle related deaths. 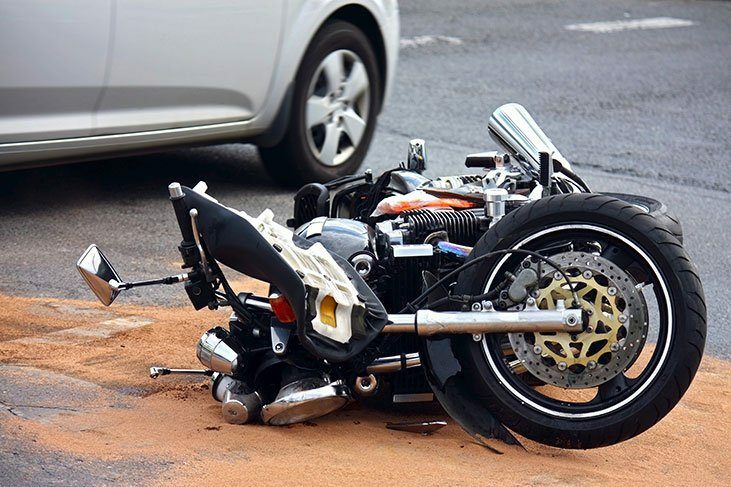 These accidents happen when a car, or any other vehicle, strikes motorcyclist from the front. Collision with other vehicles – Other than head on collision, a motorist can collide with another vehicle on the side, therefore creating a side collision or it can be hit from the back, which is called rear-end collision. 75% of all motor crashes involve another vehicle, and they are usually the fault of another driver rather than a motorcyclist. These can happen during the lane changes, splitting, intersection or speeding. The most common cause of this type of accidents is the driver’s failure to spot and recognize the motorcyclist on the road. Hitting fixed objects (single vehicle collisions) – One out of every four deaths involve a collision with fixed objects, such as trees, fence and so on. The rider usually ends up thrown from the bike, hitting the object hard. Lack of helmet and other protective clothing increases the risk of death in these situations. 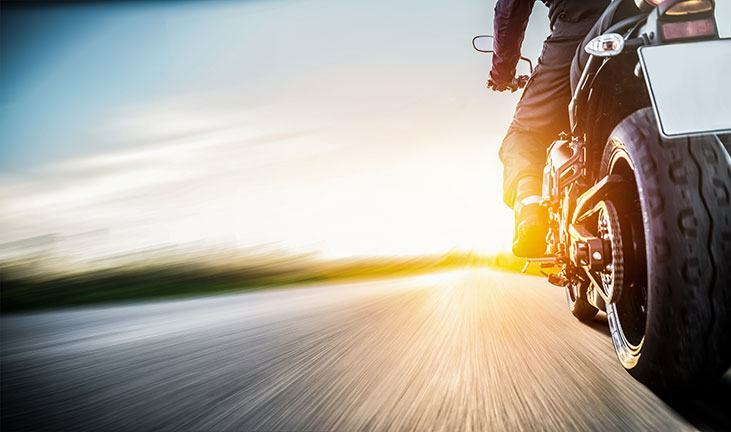 Many of these crashes are the riders fault, but many are caused by poorly maintained ﻿﻿﻿﻿road﻿﻿﻿s or failure of the motorcycle’s parts, including brakes and tires. We’ve already mentioned this accident. A car driver doesn’t see you or judges your speed incorrectly, turning left in front of you at an intersection. It happens more often than you think. What to do? Do what car driver doesn’t. Pay attention. Look for subtle signs that will tell you that somebody plans to turn left. The car is at an intersection waiting to turn; there’s a gap in traffic near an intersection, driveway or parking lot, things like that. Look at the wheels, not the car; they will give away the first clue of movement. ​​​Slow down, ﻿﻿cover your b﻿﻿rake﻿﻿s​​​ and be ready to take action. Stay aware of other cars around you. Your action wouldn’t do any good if you avoid one car but crash into another. Keep the bike upright, using both brakes - that will give you the best chance of survival. You are peacefully riding on the road, then you round a corner and find a patch of gravel or sand or anything else in front of you. Your front tire gets in it, and you fall off. How to avoid it? Again, slow down. Ride at a pace where your reaction time and action taking ability fit within your vision range. When entering a corner, do it wide, to increase your vision. Once you can see the road ahead of you, you can speed up if you want. You miscalculated your speed, and now the corner is unexpectedly tightening, and you realize you won’t make it. Avoid these situations by adjusting your speed. Make sure to drive at a pace where you can use visual clues, like signs and telephone poles to assess roads direction. If you do enter a corner too fast, lean your bike as much as you can, look where you want to go and be as smooth as possible with the controls. Car from another lane suddenly changes lane and tries to fit into the space you are occupying. Car driver probably doesn’t see you, because you are smaller than he is and you easily fit into his blind spot. Avoid this by knowing approximately where the blind spots are and spending as little time in them as possible. If you can see drivers’ eyes in the mirror, that’s the definitive clue that they can see you, too. Monitor the situations; if one lane is moving faster than other, people will likely start to change lanes. Pay attention to turn signals, wheels turning and drivers head moving. You stopped for a stop sign or anything else, but the car behind you didn’t work for some reason, and he hits you from behind at high speed. Be smart. Take advantage of vehicles around you. If a single car stops at a multi-lane stoplight, with more cars coming from behind, pull yourself in front of it. You’ll be cushioned from any subsequent impacts. If this option is not available, stop by the side of a lane. Rapidly flash your brake light by tapping a brake lever, keep the bike in gear and your right hand on the throttle. Pay attention to vehicles coming up behind you and be prepared to scoot away if needed. When people are riding in a group of their buddies, they tend to relax a little bit. It’s like all of the regular traffic rules don’t apply inside of the group. So, if someone from the group makes a sudden stop, it is not uncommon that other member fails to notice it and hits that person from behind. If you didn’t ride in a group before, ask someone for advice. There has to be a proper group riding etiquette. It is different when you drive in a staggered formation. The right formation will increase vision and prevent in-group collisions. You see a deer or a child running across the street. You hit the front brake. The next thing you know is that you are lying on the ground and your bike is nowhere near you. You can avoid this problem through practice. The front brake is tricky. Find an empty parking lot and start practicing braking with the front brake. Find a set speed and start braking at a certain mark. Repeat this exercise numerous times, until you’ve reduced your braking distance as much as possible. At some point, you’ll be able to feel the front tire on the very edge of locking up and the rear wheel lifting off the ground as well. Repeat the practice while increasing speed until you hit the maximum braking ability of your motorcycle reliably and safely. The problem with car doors is pretty simple, and we’ve explained how it happens earlier. How to avoid something that falls under someone else’s control? For starters, don’t ride between the active traffic lane and parked cars. If you do, and the door opens in front of you, brake as hard as possible. Even if the collision is inevitable, decreasing your speed even for a bit will really benefit you. If you think rain is the problem, think again. What about a thin layer of ice? Oh, the road can be more slippery than you can imagine. Buy decent tires and don’t let them become worn out. Seriously, that is more than a half job done. Slow down and be as smooth as possible with the controls. Look for utility hole covers, oil or diesel on the road and stay away from them. Be aware that bad weather conditions affect other drivers, too. So, try to be extra careful, because of the limited visibility for car drivers. I’ve already explained how drinking and using drugs can affect your driving. Alcohol is a factor in 50% of all bike crashes. What to do? Do not drink or do drugs and drive. If you are planning on using any substances at some party or celebration, don’t go with your bike. If you didn’t plan, but you still had a few drinks or anything else, let someone sober drive you, call a taxi or an Uber. If you know that you are likely to insist on driving yourself when you drink a little, give your keys to someone you trust while you are still sober. The first thing you should do is take care of your health and health of other people involved in a collision. Check yourself and others for injuries. Seek medical attention. If there are bystanders around, ask someone to help you or perform the first aid. However, call 911. This is the crucial step. If the scene is safe enough, next thing you should do is taking pictures. This way you won't do any further damage. Cell phone or camera would be useful in this situation. Make sure to take pictures from different angles. You should document the motorcycle, other involved vehicles, and the surrounding environment. This will be helpful with your insurance or court case. Even if you didn’t get to take pictures, move your bike off the road as soon as if it’s safe. If you leave it on the road, it may cause additional accidents or injury, because other drivers are not expecting it there. If you don’t move it and that way, make it a hazard for oncoming traffic, you might be held responsible for any further accidents. Call your insurance agency as soon as you can. They’ll be needing the information you’ve gathered so far. 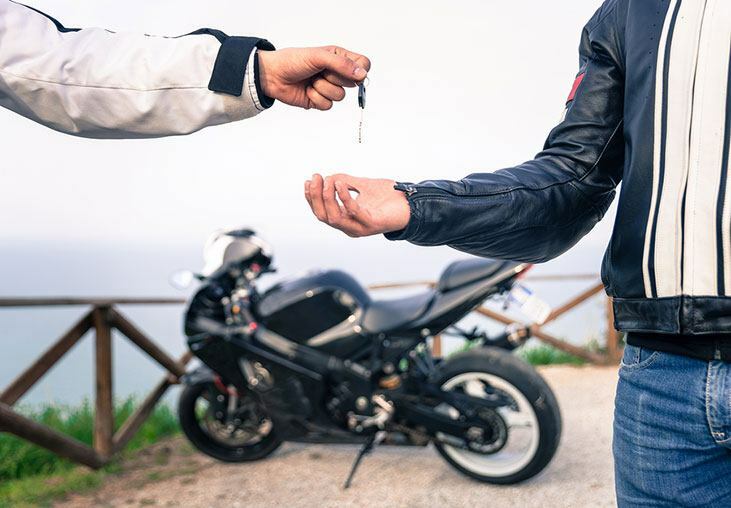 Do not give any information about your injury or motorcycle damage, before you have visited a doctor and brought your car to a professional mechanic. Underestimating the damages can reduce your rightful compensation. Also, do not admit fault if you’re not directly responsible for the crash. There are many reasons to contact an experienced motorcycle accident lawyer. Maybe you are innocent, but other parties claim the crash was your fault, maybe your insurance company denies your claim or you have incurred severe physical injuries and associated costs. The lawyer will help you navigate your case. After you’ve completed the first five steps and decided that you need a lawyer, how do you know which lawyer to choose? If you don’t have someone’s recommendation, it is hard to decide who is the best for your case. 2. How many motorcycle accident situations have you fought, and what percentage have you won? 3. How will you pursue my case? 4. What complications do you foresee inside this case? 5. What are your alternatives? 6. How will you charge for your services? 7. How long will it take to getting my case to a conclusion? If he cannot give you straightforward answers to these questions, he is not worth your time or money. Search for a new one. Of course, now you know what to ask, but what are the right answers you should expect? 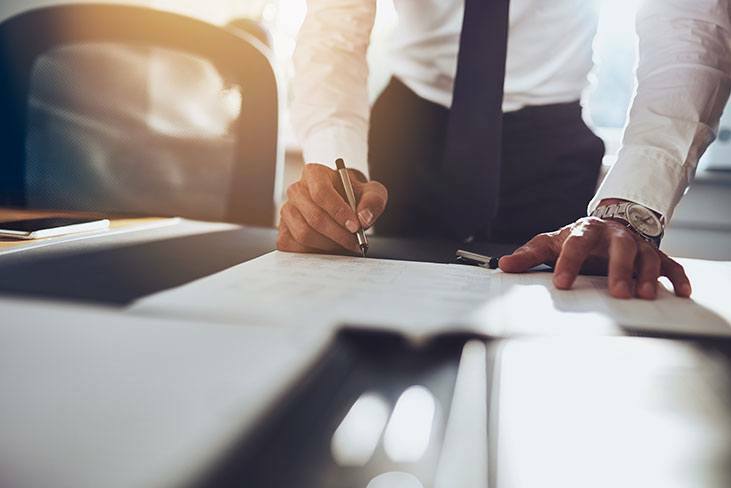 Here are few general guidelines to help you recognize a good attorney. He/she should be experienced – Lawyers specialized in motorcycle injury should be well-versed in national and state motorcycle law. They should be able to figure out local regulations as well. He/she should be skillful – You should look for more than just a persuasive talker. Your lawyer should offer references for you to contact. A good lawyer has a record of accomplishment, and he is happy to share it with you. He/she should be committed to the topic – You want someone who offers you his/hers full attention. Is he/she a lawyer for all kind of injuries and accidents or he/she focuses primarily on motorcycles? Does he/she have the knowledge of bikes, biker culture and issues in general? Does he/she seems like someone who rides a motorbike or does he/she own one? He/she should offer reasonable fee – You want a lawyer who would take your case on a contingency basis. This means he/she wouldn’t be paid if you don’t win the case. This is a big incentive for them to fight as hard as possible for you. Let’s take a few steps back and jump into the reality for a second. What are you doing right now? You are reading this, from your phone, laptop, tablet, desktop, whatever. You are not in the middle of the accident. There is still chance that I can tell you some information which will help you protect yourself before you sit on your ride. 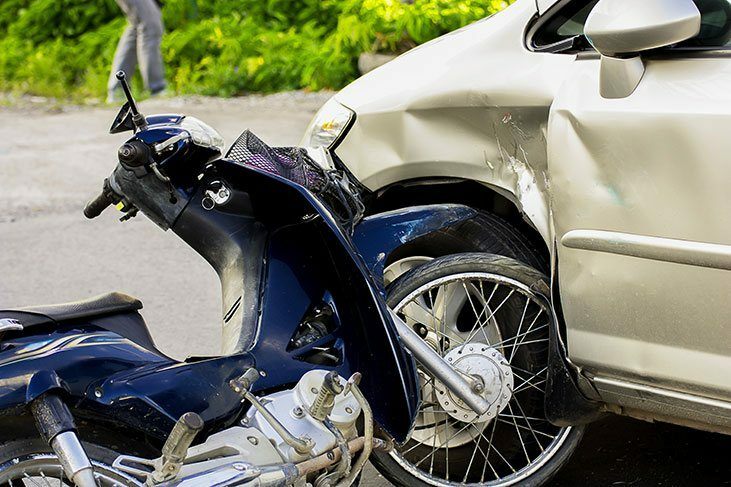 Motorcycle accident attorneys offer two sets of life-saving tips. Ones for the time before the accident, for the prevention if you like and ones for after the accident, for damage control. Always make sure that you and your pillion have proper riding gear on. Leg and arm chaps, gloves, boots and a leather jacket are here to keep you warm. However, they also protect you from road debris and road rash if you do have an accident. No matter how ridiculous you think you look -wear a helmet. Head injury is the leading cause of death in motorcycle accidents. The National Highway Traffic Safety Administration says that your chance of dying in is reduced by 37% just by wearing a helmet. Increase your visibility. Wear bright clothing with reflective stripes or at least something that can be recognized from far away. A bright colored shirt, bandana or helmet will help other drivers see you better as you are approaching. Do not drive during the night unless you have to. Motorcycle accidents are more common at night. Cars have a hard time seeing bikes during the day and visibility is even poorer at night. Obey the rules of the road. If the motorcycle is riding somewhere where a car doesn’t expect a vehicle to be, the chances of an accident are increased. Respect traffic signs and always signal before you change lanes. Medical treatment – Ask for a doctor and seek treatment before anything else. Many accidents produce injuries that are not visible right after. You may be taken to the hospital while unconscious. It is important to stay there as long as doctors say it’s needed. Immediate medical assistance can be used for establishing the time of the accident and a link to your injuries. Continue therapy according to your doctor's instructions. Many insurance companies look for ways to deny claims and paying lower rates. This is why you need to follow your doctor's instructions thoroughly and ask for printed bills. Police intervention - Call the police even if an accident appears minor. That way you will have a report on the accident. This report contains valuable information you’ll need for your insurance company. Don't repair your motorcycle, even if you want to get back on the road as soon as possible because it is evidence of the accident. It can help establish your case in court. Take photos and gather information as we mentioned earlier. An important detail to know - don't discuss your case on social media. This way it can be compromised. Victims should talk with a motorcycle accident attorney. He/she can explain the legalities of your case, help you win and deal with the insurance company at the same time. If you are a serious motorcycle enthusiast, your bike must be insurance covered. Driving around without insurance is reckless and dangerous. Who would cover the damage and medical costs if you get into a single vehicle accident, for example? That is why we buy motorcycle insurance. 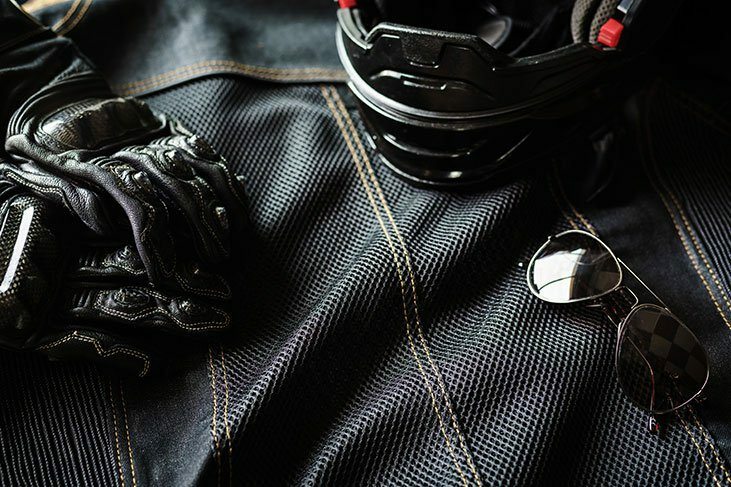 It provides financial protection in case of a motorcycle crash, loss, theft or damage. 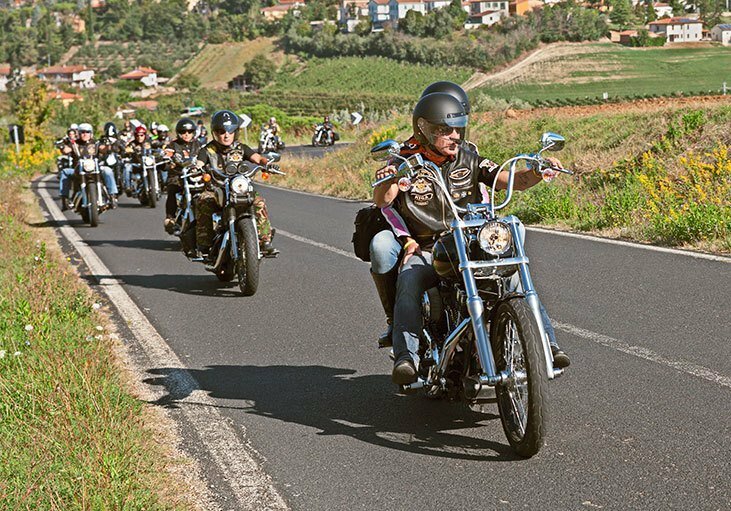 Motorcycle insurance includes liability coverage if you end up responsible for another person’s injuries or property damage. Usually, insurance policy covers a part of the costs associated with damage to the bike. As we said, it also provides compensation if you harm another person or have accident-related legal fees to pay. Find the right balance between protecting yourself against the risks and your budget for coverage. You can save on your motorcycle insurance if you are a safe rider with a good driving record. Your statements count – be aware of any statements you make. Don’t go around shouting it was your fault. Regardless of whose fault it was, you shouldn’t admit it – to another party, police, witnesses, insurance agent, no one. Call to the insurance company – Do it as soon as possible, as we’ve mentioned earlier. Call prepared, with information. These calls are often recorded so still do not admit the fault. Do not guess things about your injuries or bike damage, speak about it only after you visit the hospital and the mechanic. Fault assessment - If the other person was one who caused the accident, your insurance company might work directly with his/hers insurance company to pay for your damage. If other person doesn’t have insurance, you are entitled to payment from your insurance agency. Your losses may exceed policy limits – this is the right time to consult a motorcycle accident lawyer. Even if you were at fault for the accident, you should still be covered for your damage up to your policy limits. Insurance companies typically assign fault, which then becomes a part of your record and affects your insurance rates. Review their accident report and assessment of fault. Ask them directly if you are being assigned any fault for the accident. You can always file an objection and ask for a re-assessment. Payment of Property Damage - Insurance adjusters will recommend you to use their “trusted” mechanic for your bike repair. Don’t do it. Their mechanics often cut corners to save money, and you end up with more mechanical problems. You are entitled to have your motorcycle fixed wherever you choose. Payment for Physical Injuries - If you have suffered physical injury from the crash, you are entitled to refund of your medical bills. If you have more complicated injuries such as broken bones, deep lacerations, or neck/back injury, you may even be entitled to significant damages for pain and suffering, lost wages, lost future earnings and disability, among other things. Your wife or husband may also have the right to get damages for loss of consortium (i.e. loss of companionship) due to your injuries. Signing and cashing - Consult a lawyer. By signing an agreement or cashing a check, you may be forfeiting any further rights to payment. The insurance company’s primary goal is always to get you to accept a settlement that suits them the most. Side-deals with the other party - Often, after a crash, the other person involved may suggest that you just settle the matter for cash, without including police or insurance, because it is less complicated that way. It might be tempting but be extra careful with this! If you make this type of deal, you could forfeit any future claim against that person or your own insurance policy. Subrogation - When you receive money from the other party, your insurance company may claim rights to some of the funds. This happens in case they paid for your medical or mechanic bills. Although your insurance company may be entitled to some of that money, in many cases, they are not entitled to everything they demand. Read your contract and know your rights. Hopefully, you didn’t run off when I started talking about law and insurance. I know that it’s a pretty boring topic, but when you find yourself in the middle of the accident, it becomes the center of your interest right after you realize that you are alive and not hurt that badly. My plan was not to scare you (maybe just a little) because I know that fear is not a good motivator for a change of behavior. That’s why I haven’t talked about how serious injuries can be, but I focused on how to avoid certain situations and be smarter on the road. Someone loves you, drive with care.